The Ecclesia Gnostica Catholica (EGC) is the ecclesiastical arm of the O.T.O., its central activity being the celebration of Liber XV Ecclesiae Gnosticae Catholicae Canon Missae, The Gnostic Mass. In more recent years, other rites have been written and approved for use within the church; these include Baptism, Confirmation, Ordination (for Deacons, Priests, Priestesses and Bishops), and Last Rites. 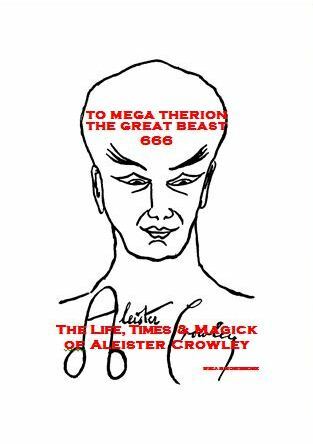 Crowley composed the Ordo Templi Orientis (O.T.O.) Gnostic Mass on a visit to Moscow in 1913. It is the central ritual of the O.T.O., public and private, based on the contents of the Book of the Law. It was first published in New York in The International several years later. Two other versions subsequently appeared in The Equinox III (1) (Detroit: Universal, 1919) and in Magick in Theory and Practice (Paris: Lecram, 1929). that is, in the direction of Boleskine, which is situated on the South-Eastern shore of Loch Ness in Scotland, two miles east of Foyers, is a shrine or High Altar. Its dimensions should be 7 feet in length, 3 feet in breadth, 44 inches in height. It should be covered with a crimson altar-cloth, on which may be embroidered fleur-de-lys in gold, or a sunblaze, or other suitable emblem. On each side of it should be a pillar or obelisk, with countercharges in black and white. Below it should be the dais of three steps, in black and white squares. Above it is the super-altar, at whose top is the Stèle of Revealing in reproduction, with four candles on each side of it. Below the stèle is a place for The Book of the Law, with six candles on each side of it. Below this again is the Holy Graal, with roses on each side of it. There is room in front of the Cup for the Paten. On each side beyond the roses are two great candles. All this is enclosed within a great Veil. Forming the apex of an equilateral triangle whose base is a line drawn between the pillars, is a small black square altar, of superimposed cubes. Taking this altar as the middle of the base of a similar and equal triangle, at the apex of this second triangle is a small circular font. The DEACON goes to his place between the altar of incense and the font, faces East, and gives the step and sign of a Man and a Brother. The DEACON and all the PEOPLE: I believe in one secret and ineffable LORD; and in one Star in the Company of Stars of whose fire we are created, and to which we shall return; and in one Father of Life, Mystery of Mystery, in His name CHAOS, the sole viceregent of the Sun upon the Earth; and in one Air the nourisher of all that breathes. And I believe in one Earth, the Mother of us all, and in one Womb wherein all men are begotten, and wherein they shall rest, Mystery of Mystery, in Her name BABALON. And I believe in the Serpent and the Lion, Mystery of Mystery, in His name BAPHOMET. And I believe in one Gnostic and Catholic Church of Light, Life, Love and Liberty, the Word of whose Law is VELHMA. And I believe in the communion of Saints. And, forasmuch as meat and drink are transmuted in us daily into spiritual substance, I believe in the Miracle of the Mass. And I confess one Baptism of Wisdom whereby we accomplish the Miracle of Incarnation. And I confess my life one, individual, and eternal that was, and is, and is to come. The child enters with the ewer and the salt. The VIRGIN enters with the Sword and the Paten. The child enters with the censer and the perfume. They face the DEACON, deploying into line, from the space between the two altars. The PRIESTESS: By the power of Iron, I say unto thee, Arise. In the name of our Lord the Sun, and of our Lord ... that thou mayst administer the virtues to the Brethren. She sheathes the Sword. The PRIEST, issuing from the Tomb, holding the Lance erect with both hands, right over left, against his breast, takes the first three regular steps. He then gives the Lance to the PRIESTESS, and gives the three penal signs. He then kneels and worships the Lance with both hands. The PRIEST: I am a man among men. He takes again the Lance, and lowers it. He rises. The PRIESTESS: Let the salt of Earth admonish the water to bear the virtue of the Great Sea. (Genuflects.) Mother, be thou adored. She returns to the West. On PRIEST with open hand doth she make, over his forehead, breast, and body. Be the PRIEST pure of body and soul! The PRIESTESS takes the censer from the child, and places it on the small altar. She puts incense therein. Let the Fire and the Air make sweet the world! (Genuflects.) Father, be thou adored. She returns West, and makes with the censer before the PRIEST, thrice as before. Be the PRIEST fervent of body and soul! The DEACON now takes the consecrated Robe from High Altar, and brings it to her. She robes the PRIEST in his Robe of scarlet and gold. Be the flame of the Sun thine ambience, O thou PRIEST of the SUN! The DEACON brings the crown from the High Altar. (The crown may be of gold or platinum, or of electrum magicum; but with no other metals, save the small proportions necessary to a proper alloy. It may be adorned with divers jewels at will, but it must have the Uraeus serpent twined about it, and the cap of maintenance must match the scarlet of the Robe. Its texture should be velvet.) Be the Serpent thy crown, O thou PRIEST of the LORD! Kneeling, she takes the Lance, between her open hands, and runs them up and down upon the shaft eleven times, very gently. Be the LORD present among us! The PRIEST: Thee therefore whom we adore we also invoke. By the power of the lifted Lance! He raises the Lance. The PRIEST takes the PRIESTESS by her right hand with his left, keeping the Lance raised. I, PRIEST and KING, take thee, Virgin pure without spot; I upraise thee; I lead thee to the East; I set thee upon the summit of the Earth. The PRIEST gives the lance to the DEACON to hold, and takes the ewer from the child, and sprinkles the PRIESTESS, making five crosses, forehead, shoulders, and thighs. The thumb of the PRIEST is always between his index and medius, whenever he is not holding the Lance. The PRIEST takes the censer from the child, and makes five crosses, as before. The children replace their weapons on their respective altars. The PRIEST kisses The Book of the Law three times. He kneels for a space in adoration, with joined hands, knuckles closed, thumb in position aforesaid. He rises, and draws the veil over the whole altar. The PRIEST takes the lance from the DEACON, and holds it as before, as Osiris or Pthah. He circumambulates the Temple three times, followed by the DEACON and the children as before. (These, when not using their hands, keep their arms crossed upon their breasts.) At the last circumambulation they leave him, and go to the place between the font and the small altar, where they kneel in adoration, their hands joined palm to palm, and raised above their heads. The PRIEST: O circle of Stars whereof our Father is but the younger brother, marvel beyond imagination, soul of infinite space, before whom Time is Ashamed, the mind bewildered, and the understanding dark, not unto Thee may we attain, unless Thine image be Love. Therefore by seed and root and stem and bud and leaf and flower and fruit do we invoke Thee. The PRIESTESS: But to love me is better than all things; if under the night-stars in the desert thou presently burnest mine incense before me, invoking me with a pure heart, and the serpent flame therein, thou shalt come a little to lie in my bosom. For one kiss wilt thou then be willing to give all; but whoso gives one particle of dust shall lose all in that hour. Ye shall gather goods and store of women and spices; ye shall wear rich jewels; ye shall exceed the nations of the earth in splendour and pride; but always in the love of me, and so shall ye come to my joy. I charge you earnestly to come before me in a single robe, and covered with a rich head-dress. I love you! I yearn to you! Pale or purple, veiled or voluptuous, I who am all pleasure and purple, and drunkenness of the innermost sense, desire you. Put on the wings, and arouse the coiled splendour within you: come unto me! To me! To me! Sing the rapturous love-song unto me! Burn to me perfumes! Wear to me jewels! Drink to me, for I love you! I love you. I am the blue-lidded daughter of sunset; I am the naked brilliance of the voluptuous night-sky. To me! To me! The PRIEST: O secret of secrets that art hidden in the being of all that lives, not Thee do we adore, for that which adoreth is also Thou. Thou art That, and That am I. I am the flame that burns in every heart of man, and in the core of every star. I am Life, and the giver of Life; yet therefore is the knowledge of me the knowledge of death. I am alone; there is no God where I am. The DEACON: But ye, O my people rise up and awake. Let the rituals be rightly performed with joy and beauty. There are rituals of the elements and feasts of the times. A feast for the first night of the Prophet and his Bride. A feast for the three days of the writing of the Book of the Law. A feast for Tahuti and the children of the Prophet--secret, O Prophet! A feast for the Supreme Ritual, and a feast for the Equinox of the Gods. A feast for fire and a feast for water; a feast for life and a greater feast for death. A feast every day in your hearts in the joy of my rapture. A feast every night unto Nu, and the pleasure of uttermost delight. The PRIEST: Thou that art One, our Lord in the Universe the Sun, our Lord in ourselves whose name is Mystery of Mystery, uttermost being whose radiance enlightening the worlds is also the breath that maketh every God even and Death to tremble before Thee--By the Sign of Light appear Thou glorious upon the throne of the Sun. Make open the path of creation and of intelligence between us and our minds. Enlighten our understanding. Encourage our hearts. Let thy light crystallize itself in our blood, fulfilling us of Resurrection. A ka dua Tuf ur biu bi a'a chefu Dudu nur af an nuteru. The PRIEST: I I I IAQ SABAO KURIE ABRASAX KURIE MEIVRAS KURIE FALLE. I PAN, I PAN PAN I ISXUROX, I AVANATON I ABROTON I IAQ. XAIRE FALLE KAIRE PANFAGE KAIRE PANGENETOR. AGIOS, AGIOS, AGIOS IAQ. The PRIESTESS is seated with the Paten in her right hand and the cup in her left. The PRIEST presents the Lance, which she kisses eleven times. She then holds it to her breast, while the PRIEST, falling at her knees, kisses them, his arms stretched along her thighs. He remains in this adoration while the DEACON intones the Collects. The DEACON: Lord of Life and Joy, that art the might of man, that art the essence of every true god that is upon the surface of the Earth, continuing knowledge from generation unto generation, thou adored of us upon heaths and in woods, on mountains and in caves, openly in the marketplaces and secretly in the chambers of our houses, in temples of gold and ivory and marble as in these other temples of our bodies, we worthily commemorate them worthy that did of old adore thee and manifest they glory unto men, (At each name the DEACON signs with thumb between index and medius. At ordinary mass it is only necessary to commemorate those whose names are italicized, with wording as is shown.) Laotze and Siddartha and Krishna and Tahuti, Mosheh, Dionysus, Mohammed and To Mega Therion, with these also Hermes, Pan, Priapus, Osiris and Melchizedek, Khem and Amoun and Mentu, Heracles, Orpheus and Odysseus; with Vergilius, Catullus, Martialis, Rabelais, Swinburne, and many an holy bard; Apollonius Tyanaeus, Simon Magus, Manes, Pythagoras, Basilides, Valentinus, Bardesanes and Hippolytus, that transmitted the Light of the Gnosis to us their successors and their heirs; with Merlin, Arthur, Kamuret, Parzival, and many another, prophet, priest and king, that bore the Lance and Cup, the Sword and Disk, against the Heathen; and these also, Carolus Magnus and his paladins, with William of Schyren, Frederick of Hohenstaufen, Roger Bacon, Jacobus Burgundus Molensis the Martyr, Christian Rosencreutz, Ulrich von Hutten, Paracelsus, Michael Maier, Roderic Borgia Pope Alexander the Sixth, Jacob Boehme, Francis Bacon Lord Verulam, Andrea, Robertus de Fluctibus, Johannes Dee, Sir Edward Kelly, Thomas Vaughan, Elias Ashmole, Molinos, Adam Weishaupt, Wolfgang von Goethe, Ludovicus Rex Bavariae, Richard Wagner, Alphonse Louis Constant, Friedrich Nietzsche, Hargrave Jennings, Carl Kellner, Forlong dux, Sir Richard Payne Knight, Paul Gaugin, Sir Richard Francis Burton, Doctor GŠrard Encausse, Doctor Theodor Reuss, and Sir Aleister Crowley--Oh Sons of the Lion and the Snake! with all thy saints we worthily commemorate them worthy that were and are and are to come. May their Essence be here present, potent, puissant and paternal to perfect this feast! The DEACON: Unto them from whose eyes the veil of life hath fallen may there be granted the accomplishment of their true Wills; whether they will absorption in the Infinite, or to be united with their chosen and preferred, or to be in contemplation, or to be at peace, or to achieve the labour and heroism of incarnation on this planet or another, or in any Star, or aught else, unto them may there be granted the accomplishment of their wills; yea, the accomplishment of their wills. The PRIEST makes the five crosses. 3 1 2 on paten and cup; 4 on paten alone; 5 on cup alone. He kneels, adores, rises, turns shows the Host to the PEOPLE, turns, replaces the Host, and adores. He takes the Cup. Vehicle of the joy of Man upon earth, solace of labour, inspiration of endeavour, thus be thou ecstasy of the Spirit! He touches the Cup with the Lance. TOUTO ESTI TO POTHRION TOU AIMATOS MOU. He kneels, adores, rises, turns, shows the Cup to the PEOPLE, turns replaces the Cup, and adores. For this is the Covenant of Resurrection. He makes the five crosses on the PRIESTESS. Accept, O LORD, this sacrifice of life and joy, true warrants of the Covenant of Resurrection. Let this offering be borne upon the waves of Aethyr to our Lord and Father the Sun that travelleth over the Heavens in his name ON. He closes his hands, kisses the PRIESTESS between the breasts, and makes three great crosses over the Paten, the Cup, and himself. He strikes his breast. Hear ye all, saints of the true church of old time now essentially present, that of ye we claim heirship, with ye we claim communion, from ye we claim benediction in the name of 'IAQ. The PRIEST: Lord most secret, bless this spiritual food unto our bodies, bestowing upon us health and wealth and strength and joy and peace, and that fulfilment of will and of love under will that is perpetual happiness. He makes with Paten and kisses it. He uncovers the Cup, genuflects, rises. He takes the Host, and breaks it over the Cup. He replaces the right-hand portion in the Paten. He breaks off a particle of the left-hand portion. TOUTO ESTI TO SPERMA MOU. O PATHR ESTIN O HUIOS DIA TO PNEUMA AGION. AUMGN. AUMGN. AUMGN. The PRIEST joins hands upon the breast of the PRIESTESS, and takes back his Lance. He turns to the People, lowers and raises the Lance, and makes upon them. The PRIEST: In my mouth be the essence of the life of the Sun! He takes the Host with the right hand, makes with it on the Paten, and consumes it. The DEACON marshals them; they advance one by one to the altar. The children take the Elements and offer them. The PEOPLE communicate as did the PRIEST, uttering the same words in an attitude of Resurrection: "There is no part of me that is not of the Gods." The PRIEST: The LORD bless you. The LORD enlighten your minds and comfort your hearts and sustain your bodies. The LORD bring you to the accomplishment of your true Wills, the Great Work, the Summum Bonum, True Wisdom and Perfect Happiness. General: The PRIESTESS and other officers never partake of the Sacrament, they being as it were part of the PRIEST himself. General: Certain secret Formulae of this Mass are taught to the PRIEST in his Ordination. 3. `` '' comes after ``the'', instead of before, in I & BE. 4. ``...'' after `` '' in I & BE. 5. `` '' comes after ``censer,'' instead of before ``with,'' in MTP. 10. These are either simple or qabalistic misspellings. Probably should be KURIH; FALLH; IQ; ISXURON or ISXUROS; FALLH; XAIRE; PANFAGH; )AIRE. 11. In I, BE, & MTP this stage direction comes after the saints' list instead of here. 13. According to a previous direction the Priest already has the Cup. 15. either a simple or qabalistic misspelling. Probably should be DIA. 16. According to a previous direction the Priest already has his Lance. 17. ``of a wedding in which none'', instead of ``or part of the ceremony of marriage, when none other'', in MTP. This whole issue brings to mind the story of the Japanese peasant who, mishearing the mantra ``O the Jewel in the Lotus! Amen!'' as ``O the Jewel in the Latrine! Amen! '', proceeded to sit and chant his mispronunciation until he realized Nirvana. The point is that pronunciation is not a limiting factor, spiritually speaking; it does, however, have dramatic implications. That most important for a performer is the need for a consistent and intelligible recital. Hesitation, doubtfulness, and malaprops are not conducive to concentration. Most audiences couldn't care less if it's correct as long as it sounds good. There may be those present who don't like to hear the ``wrong'' pronunciation. Let it be a spur to them to perform the Mass themselves! Pronunciations are given section by section, numbered as in the text. All g's are hard, as in get; all s's are sibilant, as in yes; all th's as in thing. ``Unity uttermost showed! I adore the might of Thy breath, supreme and terrible God, who makest the Gods and Death to tremble before Thee: -- I, I adore Thee!'' Egyptian pronunciation is hotly disputed. I suggest either studying it yourself or taking consonants as in English and ``ah'' for a, ``eh'' for e, ``ee'' for i, and ``oo'' for u. For a critical analysis of this text that includes modern transliterations, see The Holy Books of Thelema (York Beach, ME: Weiser, 1983), Appendix A.
Lau (like cow)-dzoo, Sid-ahr-tah, Krish-nuh, Tah-hoo-tee, Moh-sheh, Di-uh-nis-us, Moh-hahmehd, Toh Meh-gah Thee-ree-ohn, Hur-meez, Pan, Pri-ap-us, Oh-si-ris, Mehl-kiz-uh-dehk, Khehm, Ah-moon, Mehn-too, Heer-ah-kleez, Or-fee-us, Oh-dis-ee-us, Vur-gil-ee-us, Kahtool-us, Marsh-ee-ahl-iss, Rah-bla, Swin-burn, Ah-puh-loh-nee-us Ti-uh-nee-us, Simon Maygus, Mah-neez, Pith-ag-uh-rus, Buh-sill-id-eez, Val-un-tiniss, Bar-deh-sahn-eez, Hip-ahl-ehtus, Merlin, Arthur, Kah-moor-et, Part-sif-ahl, Kah-rohl-us Mag-nus, William of Shi-rehn, Frederick of Hoh-en-shtau (like cow)-fen, Roger Bacon, Jah-koh-bus Bur-gun-dus Mohlensis, Christian Roh-zen-kroits, Ool-rik fon Hoo-ten, Pear-uh-selsus, Michael Mi-ur, Roderic Bor-jah, Yah-kohb B-o-muh, Francis Bacon Lord Ver-oo-lahm, Ahn-dree-uh, Roh-bear-tus day Fluk-tib-us, Yoh-hahness Dee, Sir Edward Kelly, Thomas Vawn, III-i-us Ashmole, Mohleenohs, Adam Vis-haupt (like cow), Volf-gahng fon G-o-tuh, Loo-doh-veekus Rex Bah-vahree-ee, Rik-hard Vahg-ner, Lood-vig fon Fish-ur, Ahlfons Loo-ee Kohn-stahnt, Freed-rik Nee-chuh, Hargrave Jennings, Carl Kellner, Forlong dooks, Sir Richard Payne Knight, Paul Goh-gan, Sir Richard Francis Burton, Doctor Zha-rahrd On-kauss (like cow), Doctor Theodor Royss, and Sir Al-ess-tur Croh-lee.